Chinese New Year - the Spring Festival - 春節 - or Lunar New Year - begins on February 16th in 2018 and is the Year of the Dog. 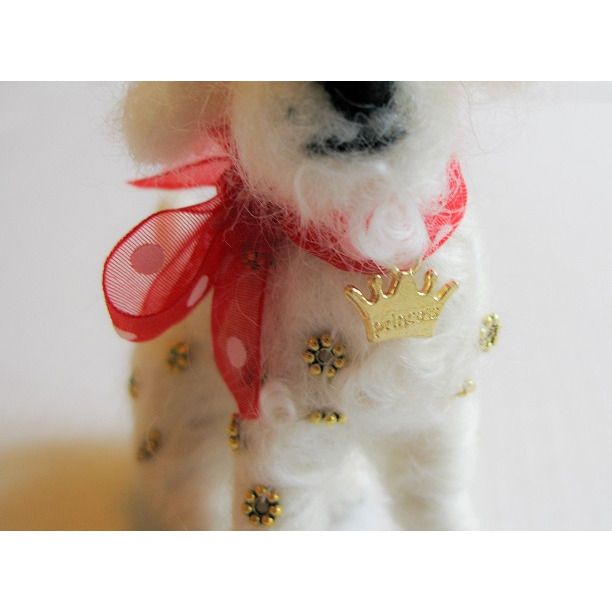 We would like to make for you - your Dog or your family or friends Dog - in the style of a Chinese New Year Dog - it will be your dog decorated with flowers and small golden charms. 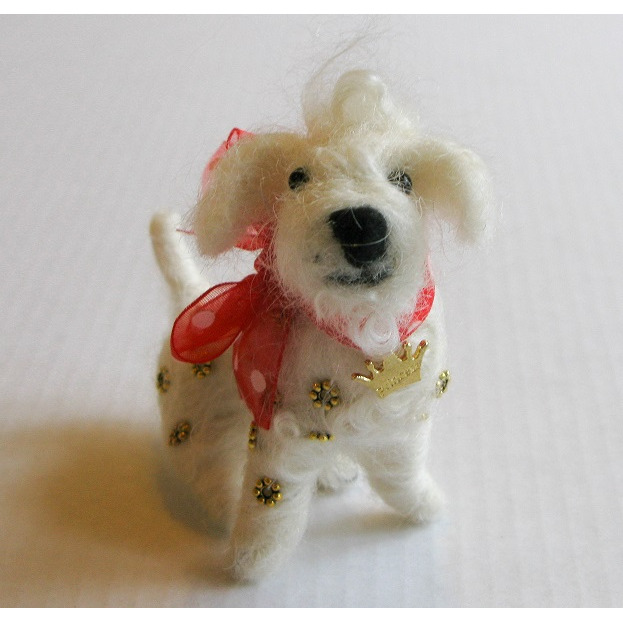 Our Chinese New Year Dogs will be made to order from your photographs and made from Merino wool by needle felting. We hope it will be lucky for you and your dog. First we will research the shape and breed of your dog by looking at photographs. We hope you will send us some to make it more personal. We will make a metal frame for flexability and strength. Then we will add details - eyes, ears, nose, tail. 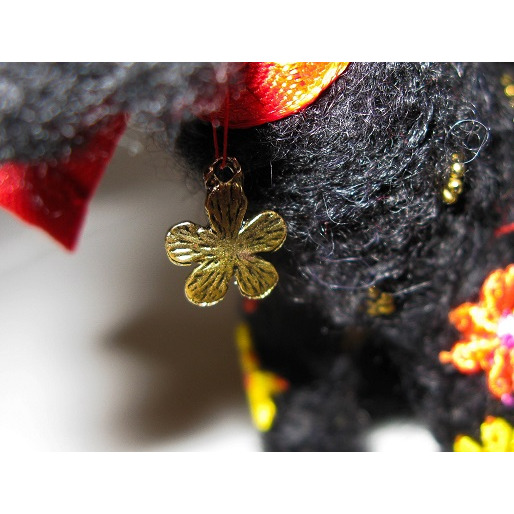 Finally decorate with small flowers and golden charms. 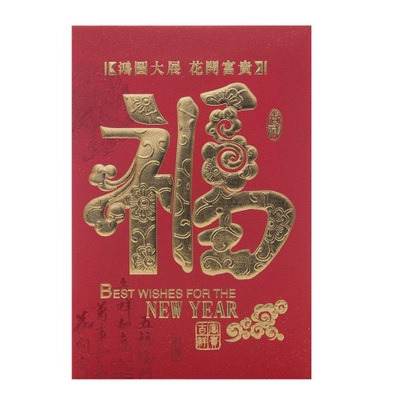 We wil include a red Chinese New Year Envelope. Usually our animals are small enough to hold in your hand and everyone is a little different and hopefully very sweet. We pack our handmade animal into a small box with tissue paper to keep it stable and post Royal Mail 'Signed For' Small Parcel. Important to add - these are not Toys and not intended to be sold to children under 14.